Bachelor of Engineering degree and a Chartered Mechanical Engineer for over 25 years. Demonstrable track record of success within the UK and International power and gas sectors, covering nuclear, renewable and predominantly CCGT power generation and downstream gas processing. Mr. Atkinson joined Phoenix Power with a background of over 35 years’ experience within the power industry including 12 years spent with Rolls-Royce encompassing roles leading to Site Manager at one of the UK’s Submarine Nuclear refit facilities and Group Engineering Manager. This was followed by a period of 17 years with Enron, GDFSuez (ENGIE) and International Power, where he held various Operational, Engineering and Project roles including group Engineering Manager, and Plant General Manager at the 2,000 MW Teesside Power Station. Immediately prior to joining Phoenix Power, Mr. Atkinson held the position of Executive Managing Director at Emirates CMS Power Company, UAE, with responsibility for a Power and Water generation business in the Emirate of Abu Dhabi. Mr. Matsumoto holds a Bachelor’s degree in economics from Kyoto University and MBA from Waseda Graduate School of Finance, Accounting and Law. 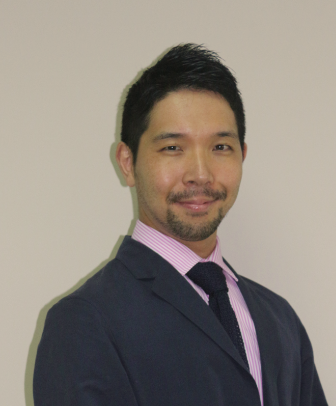 Mr. Matsumoto joined Phoenix Power Company in 2018 with over 10 years’ experience within the utility sector. He has been in charge of management accounting and commodity risk management as an assistant manager in Tokyo Gas Company Ltd. until 2015. He joined Marubeni in 2016 and managed consolidating financial figures of all Marubeni’s power assets in Middle east regions for closing, annual budget, quarterly forecast, and mid-to-long term projection. He was also responsible for a strategic cross border tax planning and led a direct communication with statutory auditor. Bachelor’s Degree in process operation and maintenance engineering from Caledonian Collage of Engineering. Mr. Al Maawali has over 15 years’ experience in power sector, and he has in depth experience in combined cycle power plant. He worked 14 years in operation department as shift charge engineer in BARKA II power plant. He joined Phoenix Power Company in 2014 as a Commercial Manager. His responsibilities include monitoring the plant performance against approved short and long term business plan, reporting on variances against agreed performance parameters and targets, and ensuring that all statutory and regulatory obligations are met on assigned areas. Honors Degree in Mechanical Engineering and Airline Transport Pilots Licence (Commercial Pilot). Demonstrable track record of success within the UK and International power sectors, covering oil, coal, and predominantly CCGT power generation. Bachelor’s Degree in Mechanical engineering and Master’s Degree in Heat power from Annamalai University in Tamil Nadu, India and Fellow of the Institution of Engineers, India. Mr. Chandrasekar took up the position of Operation Manager of POMCo in June 2012. Earlier he worked with QEWC for seventeen years in various management roles in power plant operation and in planning department. Before that Mr.Chandrasekar has worked in Neyveli Lignite Corporation (NLC), India for 14 years at various levels in project execution and power plant operations. He has a successful track record of more than 33 years of achievements set against an extensive electricity production power station of simple cycle background, covering engineering, operations and management responsibility in lignite, gas based power stations and water production by desalination plants in India and Qatar. Mr Baldwin has over 30 years’ experience in the Power Generation sector and a Diploma in Instrumentation and Electronics. He started his career in control systems and then subsequently worked across Asset support, Operations and Engineering and Maintenance functions. He has extensive management experience with a successful track record of developing and leading teams to achieve positive results. Working across numerous assets including Coal fired generation, GGCT’s, Gas supply networks and supporting Asset management functions both in the UK and internationally. Before joining POMCo in January 2017 he was working for Uniper (formally E.ON) as Engineering and Maintenance Manager across three business units comprising of a Gas Network supplying internal and external customers and two CCGT Power Stations. Degree in Fire Safety Engineering from University of Central Lancashire, Certification in IOSH managing Safety and NEBOSH (International General Certificate) Lead Auditor OHSAS 18001:2007. Mr. Abdul Aziz joined Phoenix Power Company in 1st November, 2015 with a background of experience of more than 12 years in Health and Safety in Oil & Gas and Power Plant sector. Mainly served in Port Sultan Qaboos, Vale Oman Pelletizing Company, POMCo (Phoenix Power Operation & Maintenance Company, LLC and OXY Oman. 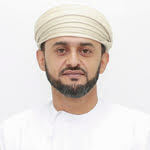 Abdulaziz also served as an instructor in academic field in Fire Safety Engineering College. © Copyright Phoenix Power Co. 2017. All Rights Reserved.